Forest & Stream, 2009. 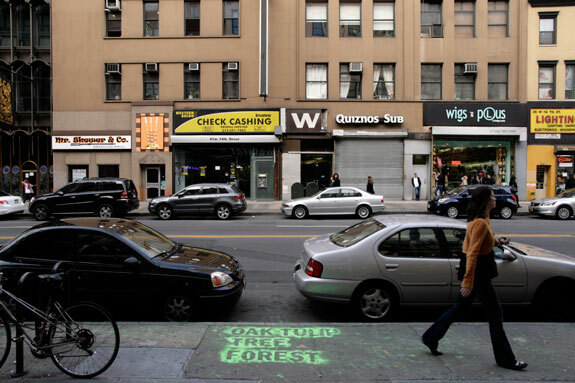 A collaboration with Nicholas Fraser, 38 site specific installations placed on October 25, 2009, 14th street in New York. For one day, color coded texts of powdered chalk describing various types of forest and water features were placed in the approximate location of the now urbanized sites. The texts, based on data from the Mannahatta Project, function as historical markers, which will disappear as completely as the feature described.